» World Cup 2014: Cameroon finally took off, Eto’o tackles leaders! 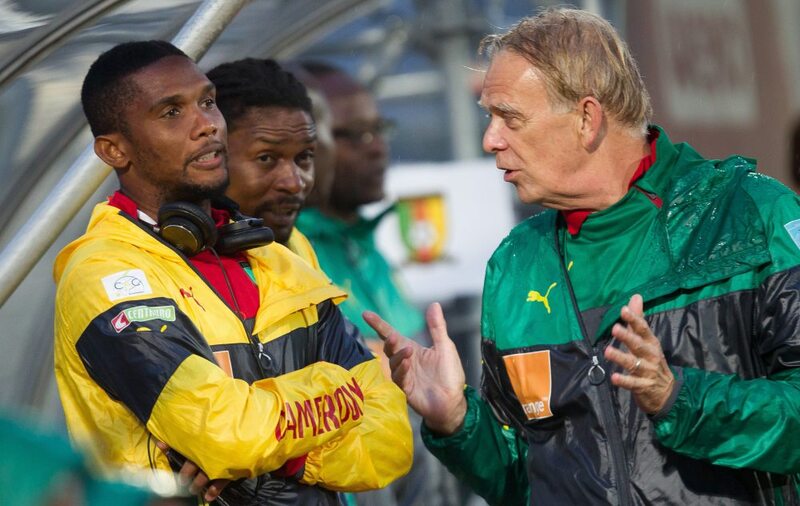 Africa Soccer World Cup 2014: Cameroon finally took off, Eto’o tackles leaders! Having been successful in pocketing about 60 million CFA francs each, the Indomitable Lions finally flew to Brazil in the early morning. Originally scheduled for 21:30, the machine to take Cameroon national soccer team to the country Pele finally took off at 5:46 minutes Monday. A delay again in discussions with officials of the company to which the plane was hired. The latter demanded compensation after many twists known in the day, including the first departure of the morning canceled due to premium claiming by players. Finally, on the plane to Brazil, Samuel Eto’o has not failed to tackle once again the leaders of Cameroonian football. “05h46mn mat (2h30 ‘behind), it’s just now that we take off for Brazil … So sad for our beautiful country, Cameroon. We have some amateur leaders anyway… But still, we keep smiling and especially proud to be Cameroonians and represent our country with dignity and validly” can be read on his official social networks. Friday, Cameroon enters the competition against Mexico. The Indomitable Lions will also face Brazil and Croatia.